In the pursuit of discovering the truth, your firm may have uncovered a number of potential witnesses who may or may not have information relevant to your case. Determining which witnesses are credible and crucial to your case requires time and skill. Let Focus Investigations step in and identify those witnesses with relevant information; determine the significance of the information and confirm the extent of their knowledge. Our findings will be presented to you in a comprehensive report, to assist your legal team in preparing for trial. 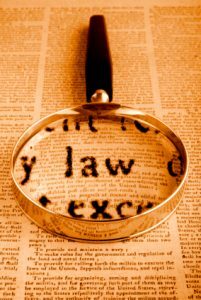 Focus Investigations knows that finding witnesses can be a time consuming, yet critical part of your legal strategy. Our investigators have extensive experience in locating even the most reluctant witnesses. We combine years of law enforcement experience and modern technology to piece together the puzzle of their lives, thus enabling us to locate the individuals that may be a key component in your case. Focus Investigations lead investigators will conduct a thorough analysis of information attained during to discovery. We will ensure that policy and procedures of the investigating agencies was followed; that the rights of the plaintiff nor the defendant were violated; that key details of the case have not been overlooked; and that witness and investigator statements are consistent with the evidence. Upon completion, our investigators will provide a detailed report of their findings. Let us bear the burden of proof and help you build a strategy for success. With extensive credentials and experience, Focus Investigations lead investigators can support your trial appearance with expert reports and expert testimony. Our reports conform to the requirements of the court and can include easy to understand visual formats, such as 2D and 3D animation, to ensure the judge & jury fully understand your argument. Our expert witnesses have both the credentials and trial experience to present the evidence and provide the testimony you need to prove the truth. 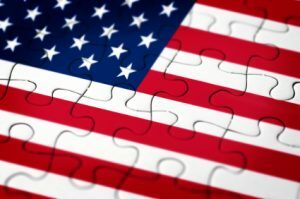 Focus Investigations understands that when you are preparing for trial, you need every piece of the puzzle to fit to present a winning argument. We will be with you every step of the way; from the initial review of police reports, and witness location & interviews; to deposition preparation, reports and/ or rebuttal reports and trial preparation with expert witness testimony and visuals for the court – that will ensure you and your client are prepared for a successful trial. Contact Focus Investigations to find out more about our Litigation Support Services.